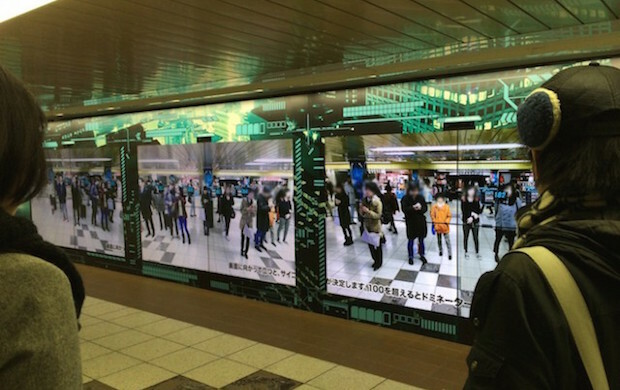 Tokyo-based video recognition technology startup Abeja has installed a functional digital signage at Tokyo Metro’s Shinjuku station, the busiest subway station in Japan. 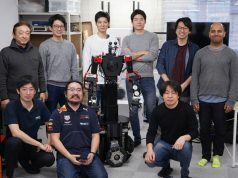 This is to promote the movie from popular Japanese anime TV series Psycho-Pass, reproducing a system within the episodes that measures the populace’s mental states or vocational aptitudes using a “cymatic scan” of the brain, which is called the The Sibyl System.This system detects those looking at the ad and capture their faces with a camera. When captured, the captured face as well as the profile sheet stating your Psycho-Pass Coefficient index will be displayed on screen. If the Coefficient exceeds 100 points, you will be virtually executed on-screen by Public Safety Bureau officers carrying hand weapons called Dominators (see the video below). This signage is in place until next Sunday (11 January), so please check it out if there is any chance to use Shinjuku station by then. The presentation has conscientiously reproduced the world of the anime series, so not only ardent anime fans but also many passers-by of all ages can enjoy (possibly) being “blown away” by the experience. 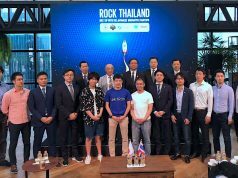 Abeja CEO Yousuke Okada explained that this can prove the possibility of a new advertising medium applying their video recognition technology. 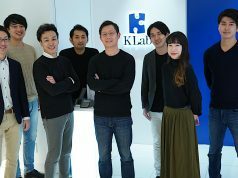 This is also considered remarkable because it is rare for a startup to leverage their core technology in collaboration with established companies or entertainment businesses.